Cooking under expert Georgian guidance and get to learn about Georgia and the Caucasus – what could be better? 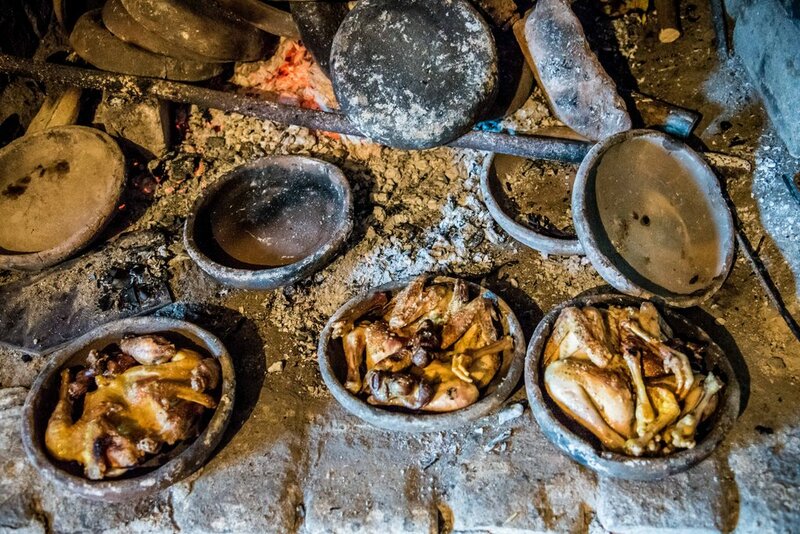 Meet the wonderful country of Georgia and its hospitable people while cooking, eating and drinking and get in touch with a special table culture called ,,supra’’ that is deeply rooted in the Caucasian culture and plays an important role in Georgian social life. Day 1 Fri arrival at Tbilisi, Georgia on Friday evening or on Saturday morning. Transfer to your hotel. Overnight stay at Hotel Astoria 4 *. 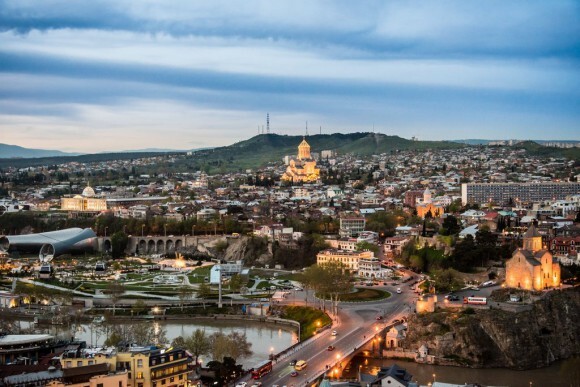 Day 2 Sat A city tour in the Georgian capital gives you interesting impressions of the eventful 1500-year history of the ancient trading city on the Silk Road and of present day life in Georgia. In the evening we’ll meet in a typical Georgian restaurant and you will enjoy the culinary delights of the Georgian cuisine. Overnight stay in Hotel Astoria 4 *. Day 3 Sun Today we’ll drive to the Greater Caucasus along the Georgian Military Road. Sightseeing of the UNESCO world heritage site Mtskheta and the fortress of Ananuri, the panoramic platform behind Gudauri plus a stop at the Cross pass. 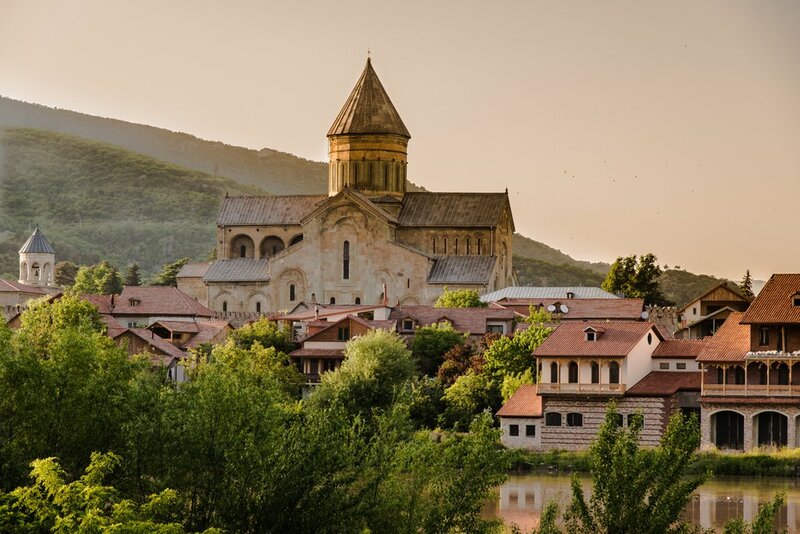 In the afternoon SUV’s will take you to the famous Trinity Church – Gergeti Sameba (Sami means three) from where you can enjoy one of the most beautiful panoramic views in the Caucasus. Overnight you will stay in the beautiful Design Hotel Rooms Hotel Kazbegi 4 * that received an award for the best interior design in 2013. During the winter months, when the Cross-pass is closed, we’ll go into the wine region of Kakheti and stay at the Chateau of the German-Georgian wine producer – Schuchmann Wines. Day 4 Mo. After your return to Tbilisi we’ll meet at 3 pm in the Old Town of Tbilisi where our first cooking class starts at 3.30 pm in Culinarium. 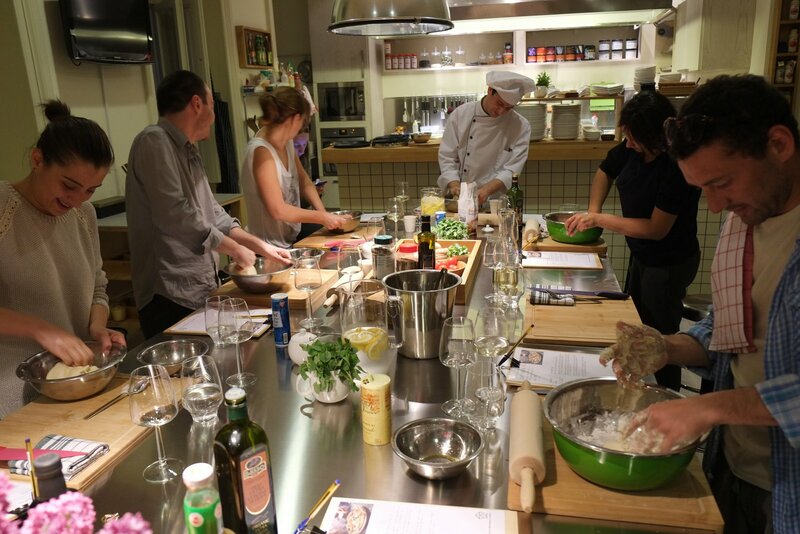 The Culinarium is a cooking school founded by the famous Georgian chef Tekuna Gachechiladze. The first part of the course is dedicated to delicious Georgian appetizers like phkhali: aubergines, spinach, sweet peppers or carrots in walnut spread. Duration of class: 3 hours. Eating together. Overnight stay in Hotel Astoria 4 *. Day 5 Tue Excursion to the picturesque monastery Shavnabada, 20km southeast of Tbilisi, which played an important military and strategic role in the defense of the capital. Here, the monks make an excellent wine which we can try. The name of the monastery shavnabada or “Black Cape” comes from a mysterious knight who helped winning a decisive battle against the Persians. The warrior in the black cape, according to the legend, was Saint George. At 3 pm the 2nd cooking class begins. Today you will learn to prepare the famous Georgian Khinkali in different variations. We can promise you you will impress your friends and family with Khinkali when you’re back home! They can be made with various fillings: meat, mushrooms, cheese or mashed potatoes. You will also learn how to prepare a typical Georgian main course like chakapuli (lamb stew with tarragon and white wine) and more. 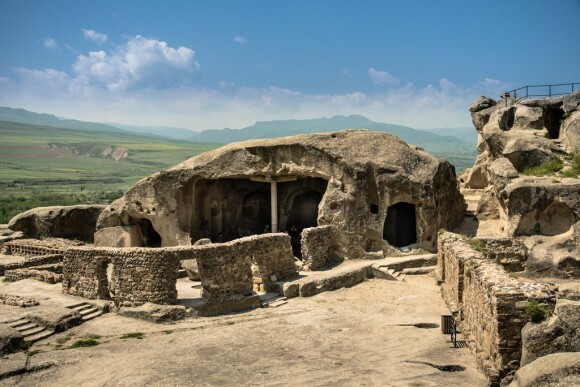 Day 6 Wed Excursion to Uplistsikhe cave town which is an ancient city on the trade routes between the Caspian and the Black Sea. The panorama above the river Kura is very impressive and an expert guide will show us around the site of this town. 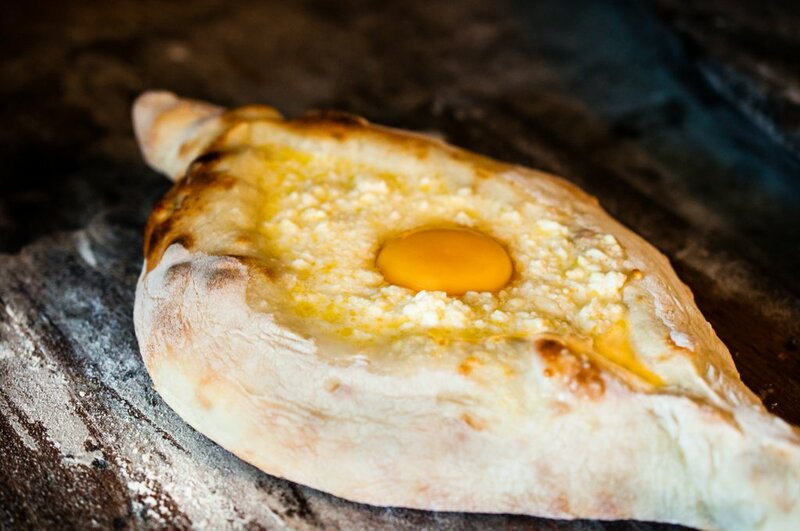 At 3.30 pm starts our 3rd cooking class, the making of khachapuri – famous Georgian ,,cheese bread”.You will learn to cook it not only Georgian style, with Georgian cheese, but also using European cheese, like using a combination of mozzarella and feta cheese. Day 7 Thu We’ll go east to the picturesque monastery of Norio where bearded Georgian monks live in self-imposed solitude. Around Norio, during the winter, wolves can be spotted here on a regular basis. One can find beautiful frescoes painted inside the small churches. Later that afternoon you’ll get to know the diversity of Georgian wines in the specialty wine shop “Vino Underground” run by the wine producers Khareba . In addition to various Georgian wines you’ll also get an insight into the history of the Georgian wine culture. Day 8 Fri In the morning we’ll go to the central bazaar, shopping for fresh food and all ingredients needed for our goodbye dinner. 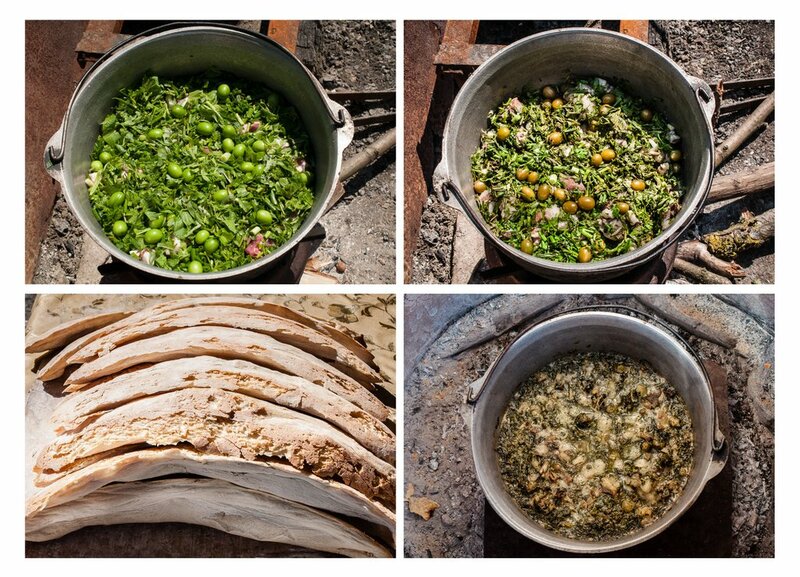 Later that afternoon we’ll meet to cook together in the Art Pension Murtazi where we’ll be having our goodbye dinner. Day 9 Sat Transfer to the airport. 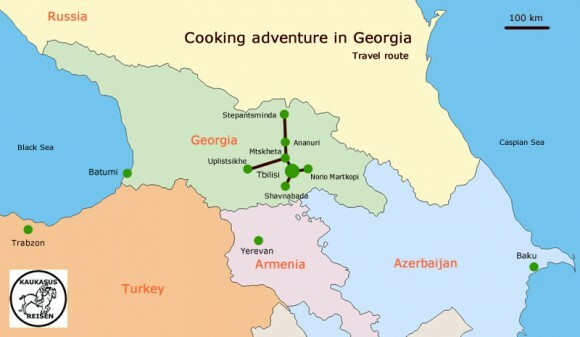 Departure for home or individual extension of your stay in Georgia.